Netflix released the first photo of Tobias Menzies as Prince Philip in “The Crown” season three. Menzies is taking over the role from Matt Smith. The third season also stars Olivia Colman as Queen Elizabeth II and Helena Bonham Carter as Princess Margaret. The third season is expected to arrive on Netflix in 2019. 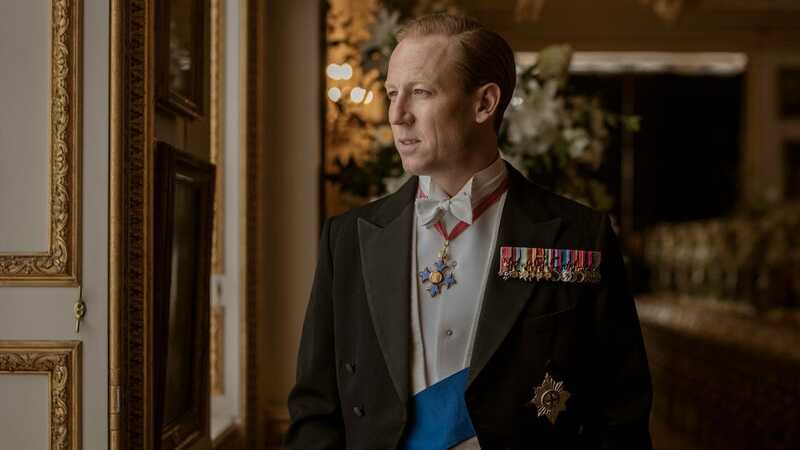 “The Crown” has a new Prince Philip for its upcoming third season, and we now have our first glimpse of him in costume. On Tuesday, Netflix shared the first photo of Tobias Menzies in the role that was played in the first two seasons by Matt Smith. Smith’s two seasons of the period drama covered the late 1940s to early 60s. The third season will take place in the 60s and 70s. Menzies starred in the first season of AMC’s critically acclaimed horror anthology series “The Terror” this year, and you probably also know him from his role on HBO’s “Game of Thrones” (he plays Edmure Tully). “The Crown” season three is now in production, and is expected to arrive on Netflix in 2019. The third season also stars Olivia Colman as Queen Elizabeth II and Helena Bonham Carter as Princess Margaret, who are replacing Claire Foy and Vanessa Kirby, respectively. “The Crown” season two, which dropped on Netflix in December, is nominated for 13 Emmys at this year’s awards, which air September 17 on NBC. The nominations include drama series, Foy for lead actress in a drama, Smith for supporting actor, and Kirby for supporting actress.